What is a Cloud Based Anti Spam Service? A cloud based anti spam service is an email filtering solution hosted in the cloud rather than consisting of an on-premises software installation or hardware device. As with most “software as a service” products, a hosted spam filtering service is available on demand, has minimal maintenance overheads and requires no capital investment. Despite being hosted in the cloud, businesses utilizing a cloud based anti spam service retain full control of their email filtering policies. This enables the application of email filtering policies by individual user, user-group or business-wide, and allows for exceptions to be made to each filtering policy (i.e. whitelisting/blacklisting) on a case-by-case basis. Within this article, we explain the benefits of a cloud based anti spam service, describe in more detail how a hosted spam filtering service works, and identify the features an antispam cloud filter should include in order to achieve the best spam detection rates. Readers can fast-track to any of these sections by using the links below, but first an explanation of why effective spam filtering is so important. There is a significant difference between spam filtering and effective spam filtering. According to the latest industry statistics, 269 billion emails are sent every day and nearly half of these are spam – unwanted and unsafe emails that can harbor malware and ransomware, or attempt to obtain sensitive information such as usernames and passwords (phishing emails). The cost of managing spam emails that avoid detection has been calculated at $285 per employee per year once associated IT costs are taken into account (bandwidth, storage costs, etc.). According to the latest intelligence reports, one in every 359 emails harbors malware – malicious software that can range in severity from adware to spyware, Trojans, worms and rootkits. A survey conducted in late 2017 found the median cost of a successful ransomware attack is $133,000, but it cost more than $1 million for 8% of businesses to fully restore their systems. Often carefully crafted to appear genuine, successful phishing emails are estimated by the FBI to cost US businesses $500 million each year – and those are just the scams that are reported to the authorities! Some malware variants have the ability to steal end users´ email credentials, which are then used to send spam from the business´s mail server – potentially harming its IP reputation (see “Outbound Scanning“). By comparison, effective spam filtering achieves spam detection rates of up to 99.97% depending on the “acceptable spam thresholds” applied. By reducing the number of spam emails avoiding detection, end users spend less time managing unwanted and unsafe emails – thus increasing productivity – and businesses reduce their exposure to risk by up to 99.97%. Domain Name Server Blackhole Lists (DNSBLs) compare the IP addresses of inbound emails against those of known and suspected sources of spam, and reject, quarantine, or flag any that originate from an IP address with a poor reputation. Sender Policy Frameworks prevent the delivery of “spoofed emails” by checking the domain names in the senders´ addresses to ensure they are legitimate. This is an excellent filtering technique to reduce phishing emails. Content Analysis Tools analyze the headings and content of each inbound email and allocate a “spam score”. They also “learn” from end users´ actions the likelihood of an email being spam, often using “Bayesian Analysis” techniques. Recipient Verification Protocols compare the recipient addresses of inbound emails to ensure they match a valid mailbox (i.e. j.doe@xyz.com, sales@xyz.com, etc.). Those that do not match a valid mailbox are rejected or quarantined. URIBL and SURBL Filters identify malicious URLs and links to websites known to be harboring malware or that have been constructed to execute a phishing attack. This technique blocks threats by their domain name rather than their IP address. SMTP Controls perform a number of tests to authenticate the source of emails. These tests can include checking the originating email´s MX record, confirming qualified MAIL FROM commands, and looking for digital signatures (a good way of reducing “false positives”). Some – but not all – antispam solutions also have the option of activating the Greylisting process. This is a filtering technique which returns every email to its originating server with a request for the emails to be resent. Spammers´ mail servers often ignore the request, as they are too busy sending spam to reply, and the spam email is never returned. This technique is the most effective way to prevent spam from IP addresses and domain names that are “not yet known” to DNSBL, URIBL and SURBL filters. Although hardware and software-based email filters still exist, cloud based spam filtering is the natural progression to these high maintenance filtering solutions. It is much simpler and more cost-effective for organizations to connect their mail servers to a cloud based anti spam service than it is to install hardware or software-based solutions, maintain and update them. Furthermore, as the filtering process is performed in the cloud, the demand for CPU resources occurs in the service provider´s data center rather than in the business´s infrastructure. This means that more filtering techniques can be incorporated into the cloud spam filter, resulting in more effective filtering without negatively affecting network performance. Cloud based spam filtering is compatible with all operating systems and infinitely scalable. This allows businesses to adjust their contracts with service providers as the size of the business expands or contracts and prevents them from being locked into contracts that are either insufficient for their needs or that provide protection for more mailboxes than is necessary. Connecting to a hosted spam filtering service takes just a few minutes and involves redirecting the mail exchange (MX) record to face the service provider´s filtering service. Thereafter, the filtering process is conducted in the cloud, software updates are undertaken by the service provider, and the only configuration required is to meet the business´s monitoring and reporting requirements. Typically, a hosted spam filtering service integrates with business directories such as LDAP and Active Directory so that email filtering policies can be applied with the click of a mouse. Thereafter, new policies can be applied – or existing policies adjusted – via a web-based portal that manages the entire network and eliminates the need for per-device agents. From the web-based portal, administrators can whitelist approved senders, apply “acceptable spam thresholds”, monitor real-time activity on the mail server, and schedule activity and quarantine reports. Administrators can also connect with their service providers via the web-based portal so a secure channel can be created for troubleshooting any issues with the hosted spam filtering service. Many of the mechanisms an antispam cloud filter should include to achieve effective filtering have already been mentioned above (Domain Name Server Blackhole Lists, Sender Policy Frameworks, etc.). However, there are some additional features of an antispam cloud filter that businesses may wish to consider in order to better protect their networks and their IP addresses. Adequately managing the volume of email arriving in a large business can be problematic without versatility and ease of use. Therefore a cloud spam filter should have granular controls that are easy to use. For example, a business may wish to apply a higher acceptable spam threshold for its sales team than its finance team so as not to block the delivery of sales enquiries while mitigating the threat from Business Email Compromise scams. This should be an easy distinction to apply. Most businesses will already be protecting their networks with antivirus software; but the benefit of including antivirus software in an antispam cloud filter is that viruses can be caught as they enter the mail server, rather than being identified in a retrospective virus scan – by which time an infection may have already got to work and be compromising the network. As with the filtering process, the virus scanning process is conducted in the cloud to avoid draining the resources of on-premises CPUs. Solutions that include dual anti-virus engines offer greater protection. Doubling up on AV protection maximizes the probability of malware being identified and blocked. Outbound scanning is an important feature as it identifies spam and viruses in outbound mail. The presence of spam and viruses in outbound mail is most often the result of malware being installed on an end user´s device, through which a spammer can remote control their email account. If outbound mail is identified by other spam filters as having a high spam score or infected, it can harm a business´s IP reputation – which not only affects the reputation of its emails, but also of its website as well. SpamTitan Cloud is a dynamic cloud based anti spam service that incorporates all the filtering techniques required to achieve effective filtering. Our cloud based anti spam service has a verifiable spam detection rate of 99.97% – with a low false positive rate of only 0.03% – and, using dual antivirus engines provided by Bitdefender and ClamAV, a verifiable virus detection rate of 100%. Having developed email and web security solutions since 1999, we are aware of the importance of versatility and ease of use. Therefore our cloud based anti spam service has been deliberately designed to make the application and adjustment of email filtering policies as straightforward as possible. It is also possible to customize our suite of reporting options to get the data you want, when you want it. We also aware of the importance of protecting a business´s IP reputation, so outbound scanning is included in our cloud based spam filtering service as a standard, rather than as a premium add-on. Having mentioned pricing, we offer a competitive range of subscription and pay-as-you-go options, with no added extras or premium add-ons to worry about. You can find out exactly how much the full SpamTitan Cloud hosted spam filtering service will cost by visiting our “Instant Quote Calculator”. Our hosted spam service is not only an effective filtering solution for businesses. 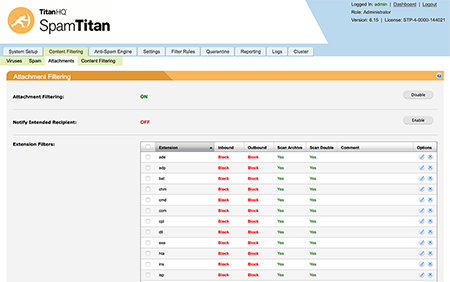 As SpamTitan Cloud supports an unlimited number of users and domains, it can provide Managed Service Providers (MSPs) and resellers with opportunities to market our industry-leading antispam cloud filter under their own branding – either as an add-on service to existing clients or as a stand-alone service for new clients. No end-user software installations are required. Multiple clients can be managed from the same portal. A choice of hosting options exist – our cloud, a private cloud, or within the MSPs cloud. Not all cloud based spam filtering is the same. Some will include different mechanisms for effective filtering. 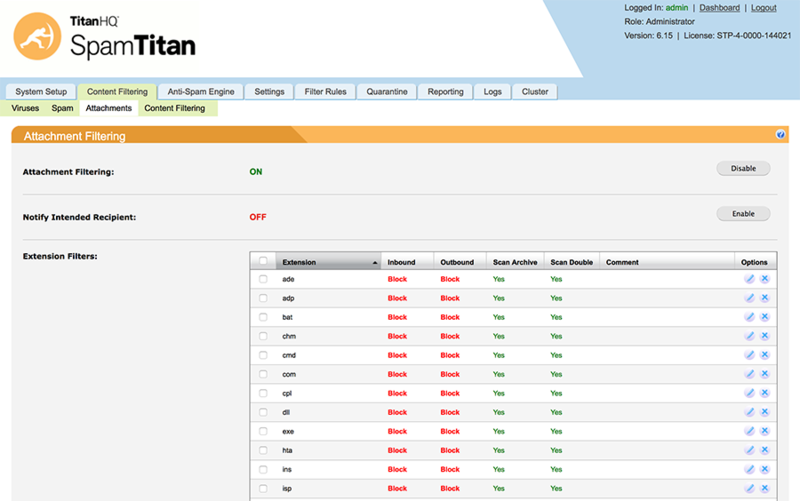 Others may have different features than SpamTitan´s cloud based anti spam service. However, we believe we have found a balance between effective filtering and ease of use at a price that makes SpamTitan Cloud the most cost-effective way of increasing productivity and reducing exposure to risk. If you would like to put our claim to the test, we invite you to take a free trial of SpamTitan Cloud in order to evaluate our cloud based anti spam service in your own environment. Starting your free trial takes minutes. Simply click on the “Start Free Trial” button above, enter your business email address, and details of how to redirect your MX record to our servers will be sent to you. During your trial, you are welcome to call us and have your configuration of SpamTitan Cloud reviewed by a seasoned engineer, who will make suggestions and recommendations as necessary. At the end of your trial, if you are happy with our cloud spam filter, no reconfiguring is required. You simply opt for the subscription plan most suitable for your business, and continue getting the same great protection.